When superstar athlete Jim Thorpe and football legend Pop Warner met in 1904 at the Carlisle Indian Industrial School in Pennsylvania, they forged one of the winningest teams in American football history. 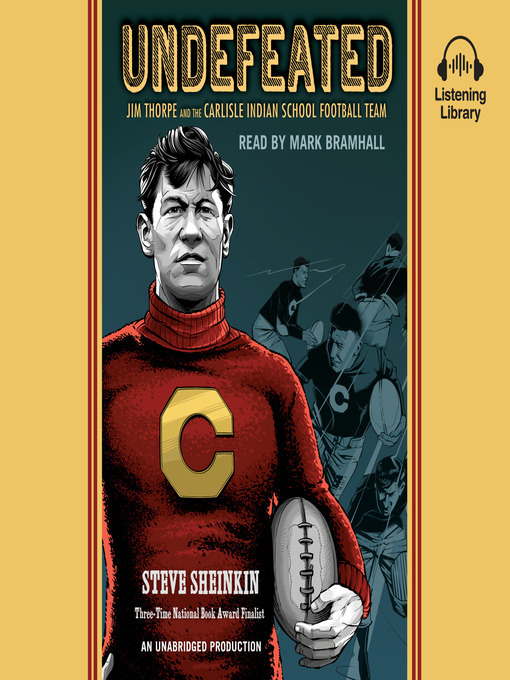 Called "the team that invented football," they took on the best opponents of their day, defeating much more privileged schools such as Harvard and the Army in a series of breathtakingly close calls, genius plays, and bone-crushing hard work. But this is not just an underdog story. It's an unflinching look at the persecution of Native Americans and its intersection with the beginning of one of the most beloved―and exploitative―pastimes in America, expertly told by nonfiction powerhouse Steve Sheinkin.